There's a Card for That: Toadally Hoppy Day | ft. Lawn Fawn "Toadally Awesome"
Toadally Hoppy Day | ft. Lawn Fawn "Toadally Awesome"
Today I have a super cute rainbow frog card in honour of both International Frog day (Which is a real thing. You can toadally google it!) as well as for the Lawn Fawnatics Color Inspiration challenge. Click the YouTube link below for the tutorial video! Or you can watch it in HD on YouTube! This card was so fun to make. Watch the video above to see the tutorial as well as the list of Copic colours I used on these little guys. I had some extra pieces from some other projects so I put them together to add a little something to the inside of the card. I hope you like today's card and are inspired to create something of your own. If you haven't already, please follow me on the right side bar, over on Facebook and now on YouTube! Drop me a line in the comments section below and let me know what you think. YAY!!! Thank you all so much for your encouragement and support! I absolutely love this happy, colorful card! 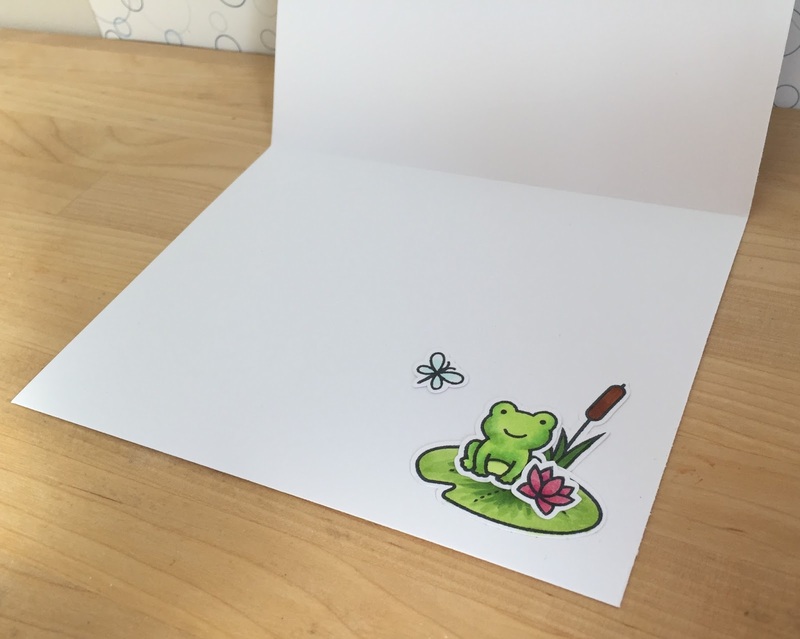 Your coloring is amazing and that row of cute frogs makes me smile! Thanks so much for celebrating our birthday with us at Lawn Fawnatics! This is awesome! Love this so much! 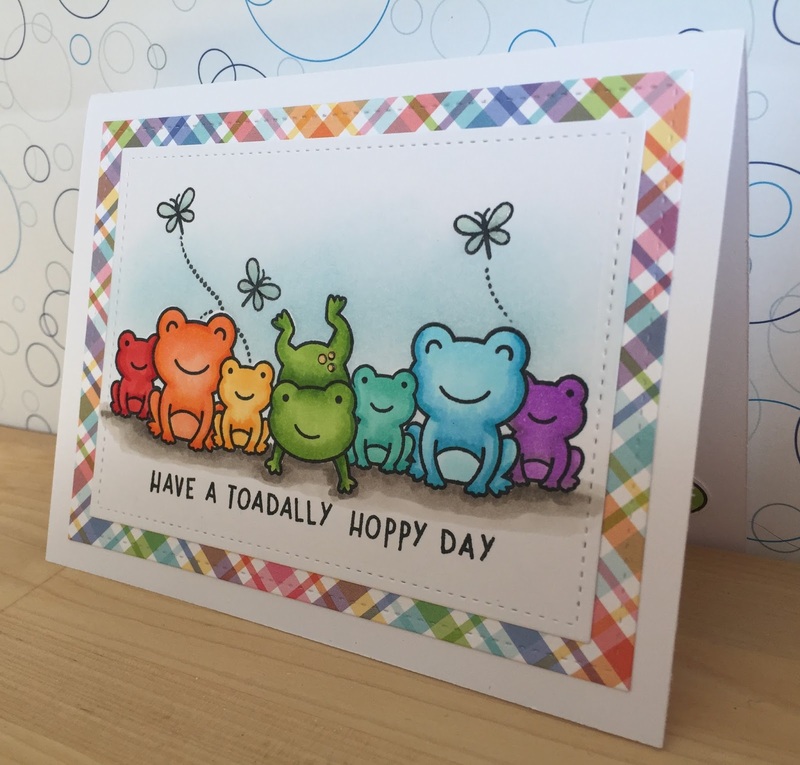 A very cute card - love the rainbow colors you used on the frogs. You mentioned the tip you used on your Glossy Accents bottle. I looked, but didn't see where you got it from. I would really like to try that tip as I have trouble and often get too much when I used my Glossy Accents. Thanks! Pawfect Birthday | ft. MFT "New Best Friend"
It's a Mixed Bag Today!